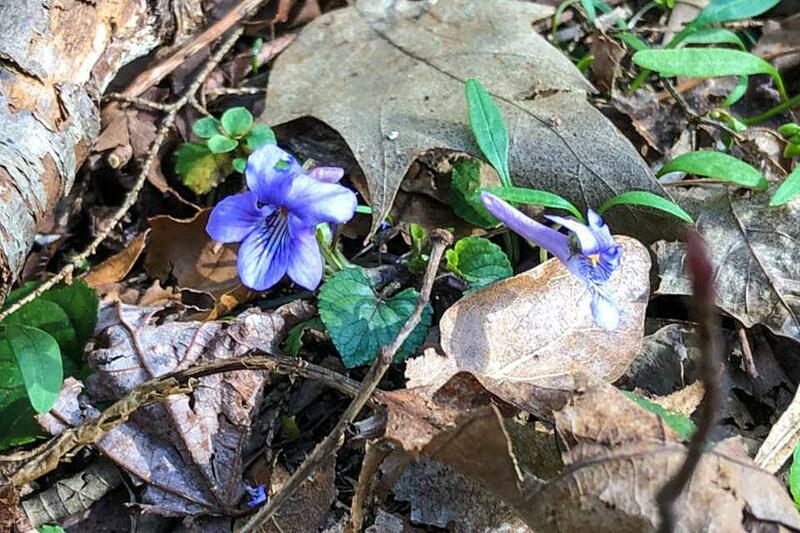 One of the hallmarks of spring in the Great Smoky Mountains is the annual emergence of wildflowers and other vegetation in the national park and surrounding areas. It&apos;s a time when new life springs from the ground, bursting onto the scene in a brilliant array of colors and shapes. It&apos;s such a big deal that we have an event here in the Smokies that celebrates the annual occurrence and a whole lot more – the Spring Wildflower Pilgrimage. The 68th edition of the annual festival is scheduled for April 24 through 28 and takes place largely within Great Smoky Mountains National Park. The event consists of professionally guided walks that explore the region&apos;s rich natural and cultural resources. Typically, more than 700 attendees from some 30 states attend the pilgrimage, which also includes programs about fungi, ferns, wildflowers, trees and shrubs, medicinal plants, insects, reptiles, birds, mammals and more. You&apos;ll even find seminars on journaling, art, photography and national park history. Most of the walks and hikes take place on the various trails of the national park, while most of the talks and seminars are scheduled for the Mills Conference Center in downtown Gatlinburg. Those interested in participating should visit the website at www.wildflowerpilgrimage.org. You&apos;ll also find info on a number of lodging partners that can provide accommodations for the event, and they&apos;re all in Gatlinburg. If you decide to attend, you are encouraged to use one of the free van services provided, since trailhead parking is limited at most of the national park locations, which range from Cades Cove to the Townsend Y to the Sugarlands Visitor Center. There are also event locations in the downtown Gatlinburg area, so if you choose to use your own vehicle for getting to those and you don&apos;t happen to be staying downtown, you might want to consider parking in one of our lots. Then you can easily access it again when it&apos;s time to move on to your next destination. If you have to get to multiple locations in downtown Gatlinburg, consider walking or taking the trolley while leaving your vehicle secure at one of our parking sites. You may also want to look up the information on our individual locations to find out specific Gatlinburg parking garage hours. Leif Palmer loves residing in Gatlinburg. He is an avid outdoorsman: rowing for exercise on the lake, trail hiking, and free climbing rocks in the mountains. He indulges his arty side by periodically beating up pieces of marble by sculpting. He is always frustrated by his inability to sink long putts, and hates his curly hair (but his wife loves it). Leif has been known to muster enough courage to change a diaper, and hopes his son will become a chip off the old block. This content offered by Gatlinburg Parking, LLC. Visit our home page, parkingingatlinburg.com for more information on public parking in Gatlinburg.